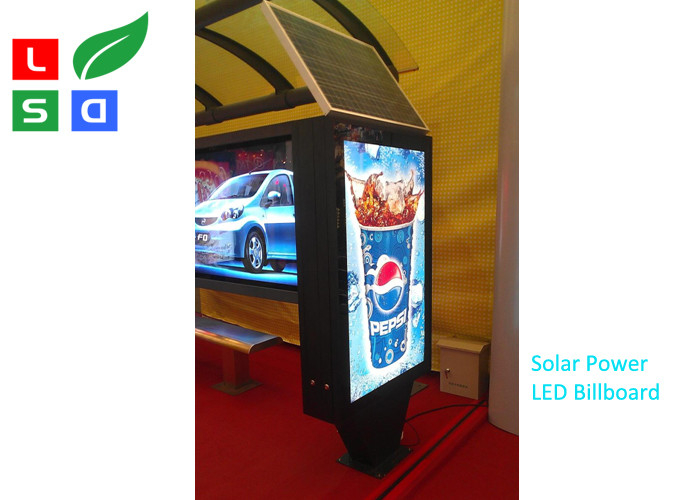 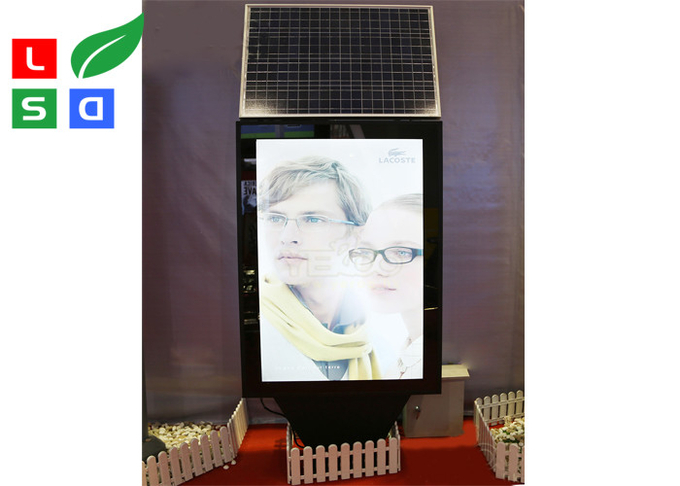 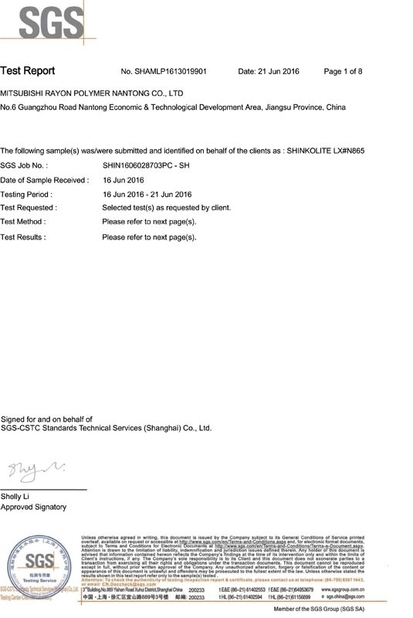 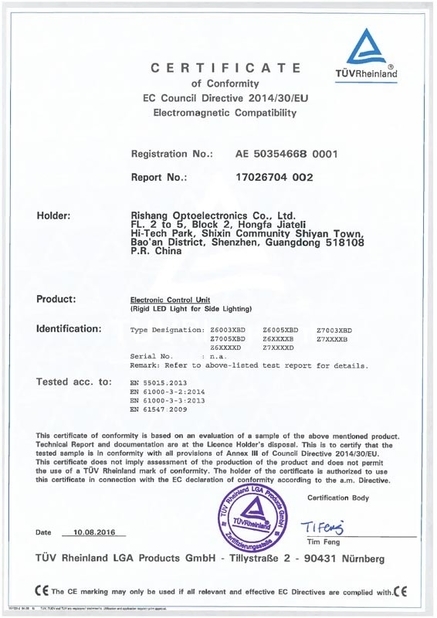 LED solar powered light box with steel stander for built-in ground is a new developed solution for street lamp pole advertising, could be eco-friendly and save power, as its high quality solar power system could give power to LED light box day by day when place under sunshine. 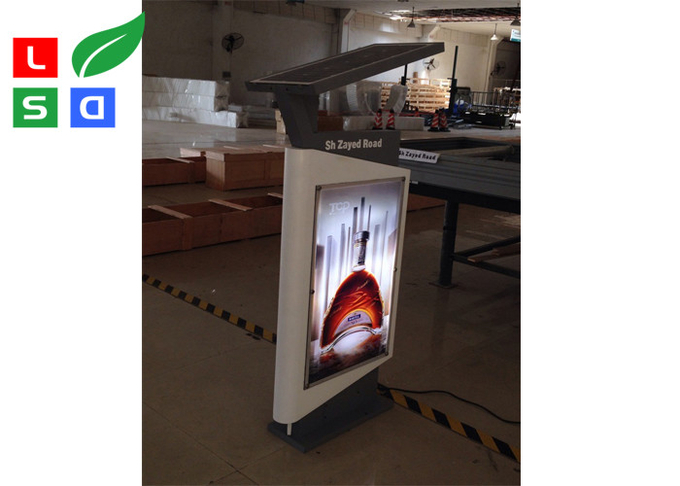 The rechargeable 35 Ah battery can last working over than 8 hours when full charged. 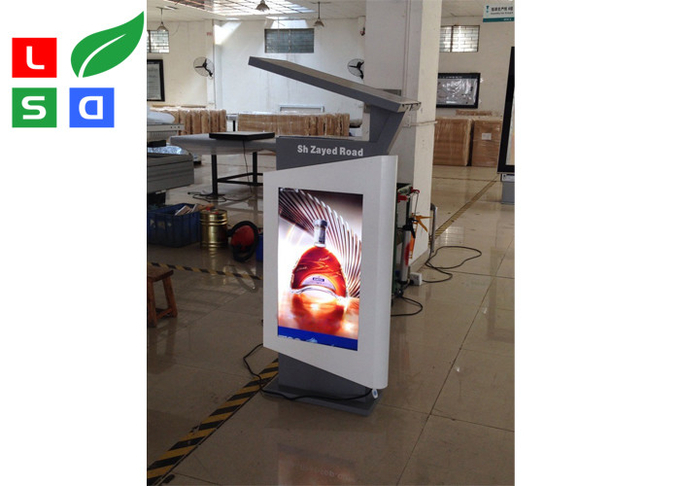 Your customized poster size is available. 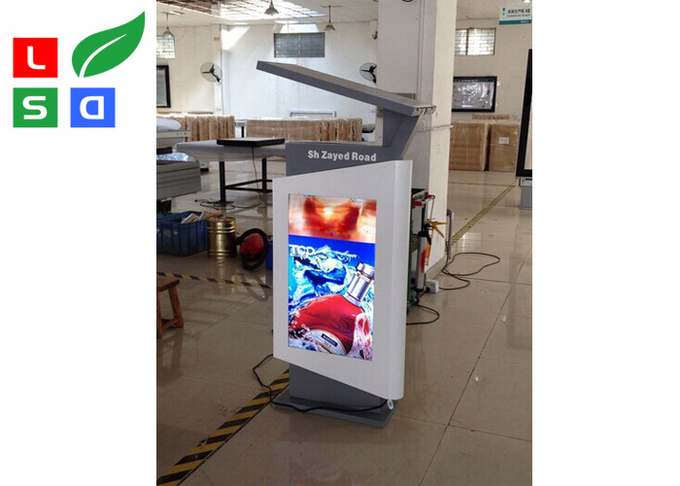 For street billboard advertising, hotel pole sign board, restaurant pole sign, shopping mall billboard sign, bus station sign board, rail way sign board etc.